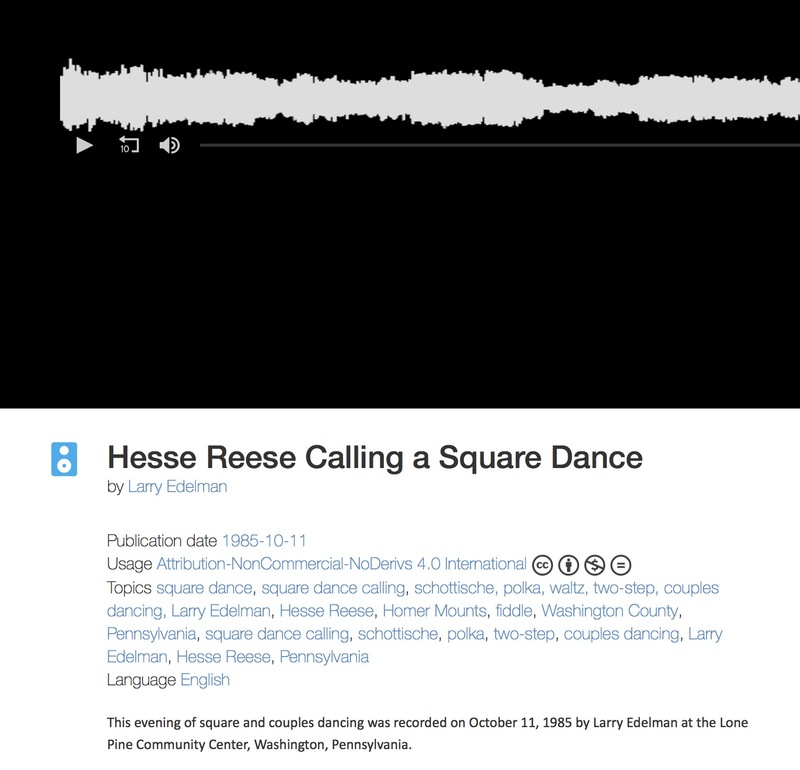 Caller, musician, and collector Larry Edelman describes this as "a 2.5 hour audio file that I recorded of Hesse Reese, an auctioneer and square dance caller at an evening square dance on October 11, 1985 at the Lone Pine Community Center, Washington, Pennsylvania. Boy, these guys did a LOT of dances in one evening: 16 squares, more than 20 couples dances and a cakewalk. Of particular note is the lead electric guitar player who plays lead on the couples dances, except for the schottisches. And as I recall, the fiddler, Homer Mounts, had just had a heart valve replaced and this was his first night back playing. I included a reference in the description to help you locate particular selections of interest." See also the items connected to Jerry Goodwin, a caller in this region who was thoroughly documented by Edelman. 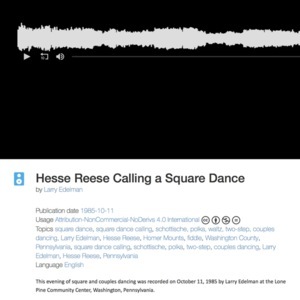 Hesse Reese, “Caller Hesse Reese - live recording, 1985,” Square Dance History Project, accessed April 24, 2019, http://squaredancehistory.com/items/show/1882.